Radiant sunshine, fresh powder and lots of kilometers of ski slopes to carve – this is our perfect winter fairy tale! We literally provide borderless skiing pleasure in our ski area in Germany and Austria. 130 kilometers of slopes distributed across the areas Nebelhorn, Fellhorn, Söllereck, Kanzelwand, Heuberg, Walmendingerhorn and Ifen are ready for you to discover between December and May. Allow your winter dreams to become a borderless reality: our slope network is international. Our two-country skiing area means that you could even start off in Germany and finish up in Austria– or vice versa! Extensive distances: 130 kilometers of pure skiing pleasure and 48 lifts provide diversity. More than 70 ski slopes: Red, black, blue – we have the right downhill run on our ski slope plan for all ages and abilities. Snow-reliability: This is guaranteed by our favorable geographical location and modern snow-making technology. The right thing for everyone: Carving, snowboarding, freestyle shredding or powder skiing – call it what you want. We say: Everyone should enjoy their own way of skiing! Furthermore, our two-country skiing region in Germany and Austria features a diverse range of mountain gastronomy: Fine restaurants, rustic lodges and inviting sunny terraces provide the best cuisine of both countries. Terrain parks and challenging downhill runs into the valley as well as expansive practice slopes round off our sportingly active offers. 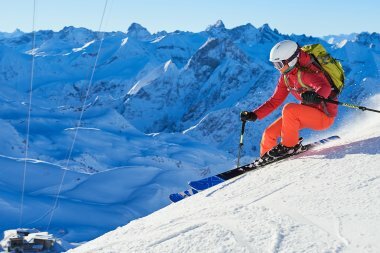 The cross-border skiing area Fellhorn/Kanzelwand was distinguished by skiresort.de, the largest test portal in the branch, as the test winner 2017 in the category: “Secret tip: Leading skiing area in the category up to 40 km of slope”. Every year, the winter season features numerous new developments in our skiing areas. In the Allgäu/Kleinwalsertal region, even more skiing fun now awaits our guests – with new lifts, rates and features. 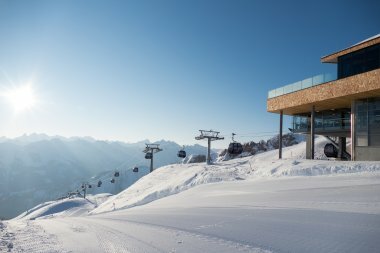 New in 2017/18: Amongst other things, we have two new lifts at Ifen, as well as a new magic carpet at Söllereck and the exclusive bonus club MyMountainClub with PowderAlarm and individual offers. 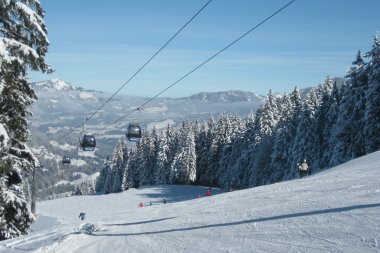 The highest ski resort in the Allgäu is snow-proof and can additionally be supplemented by artificial snow – fast and efficient! Limitless snow: at Fellhorn/Kanzelwand Mother Hulda and one of the most modern snow-making facilities in the alps work hand in hand. Walmendingerhorn, Ifen and Heuberg form a ski area with 67 kilometers of slopes that offers diversity and fun for beginners, families and connoisseurs.